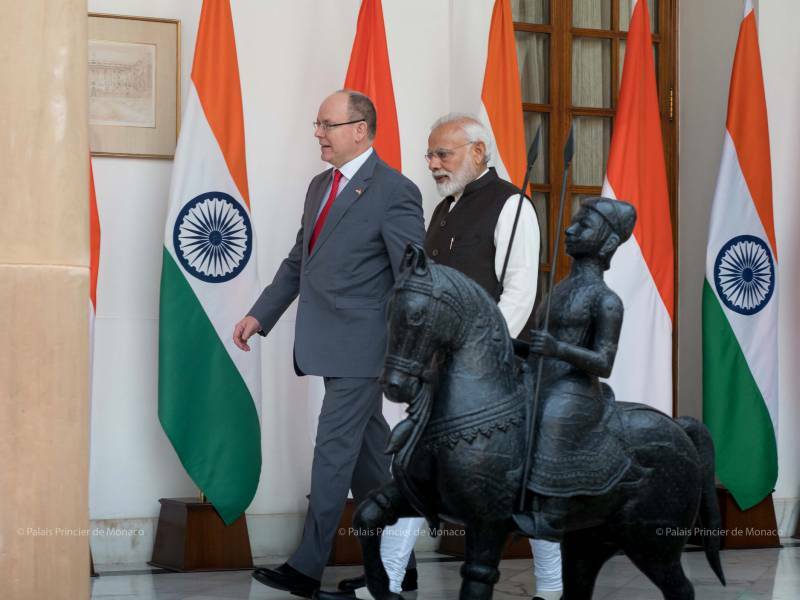 On Monday 4 February Prince Albert II arrived in New Delhi, India for a two-day official visit combining economic, environmental and diplomatic meetings with the highest authorities. 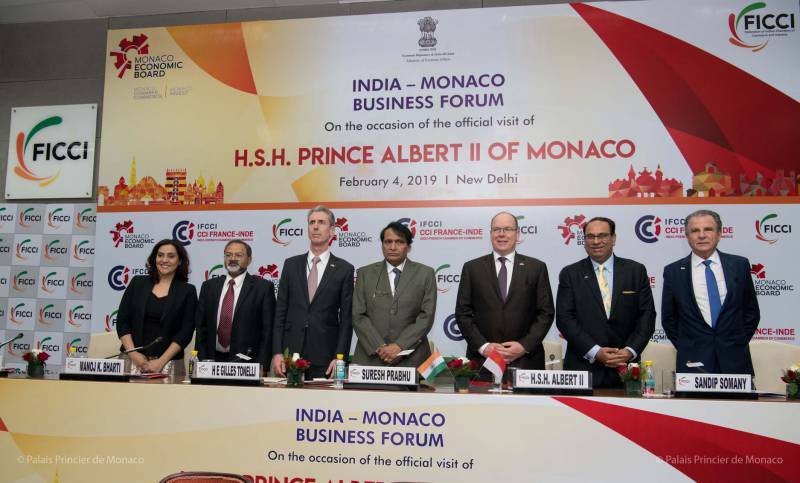 In the early afternoon of his first day, the Sovereign Prince hosted the Federation of Indian Chambers of Commerce and Industry (FICCI) and the Monaco Economic Board (MEB) to bring together business leaders from both countries (about thirty Monegasque entrepreneurs). 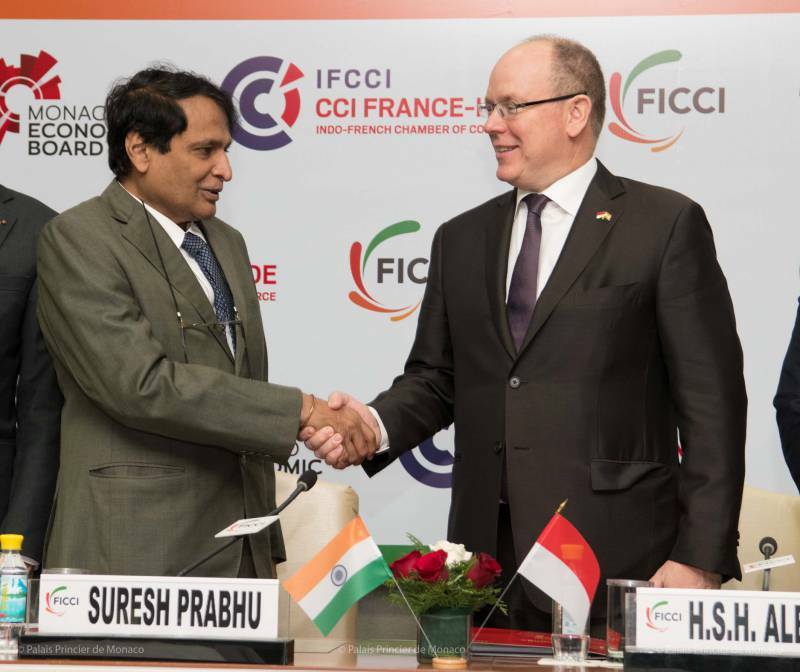 Suresh Prabhu, Indian Minister of Commerce, Industry and Civil Aviation and Gilles Tonelli, the Principality’s Government Counsellor-Minister of External Relations were in attendance. 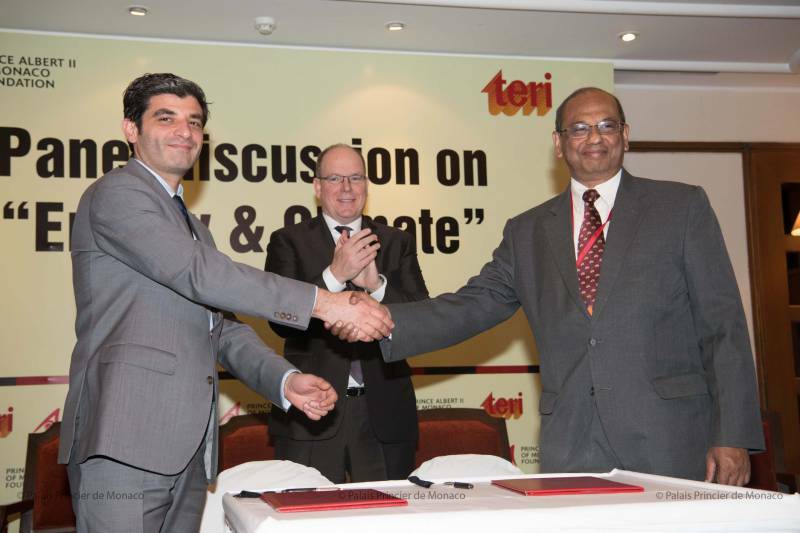 A partnership agreement between the two entities was signed in the form of a Memorandum of Understanding (MOU). 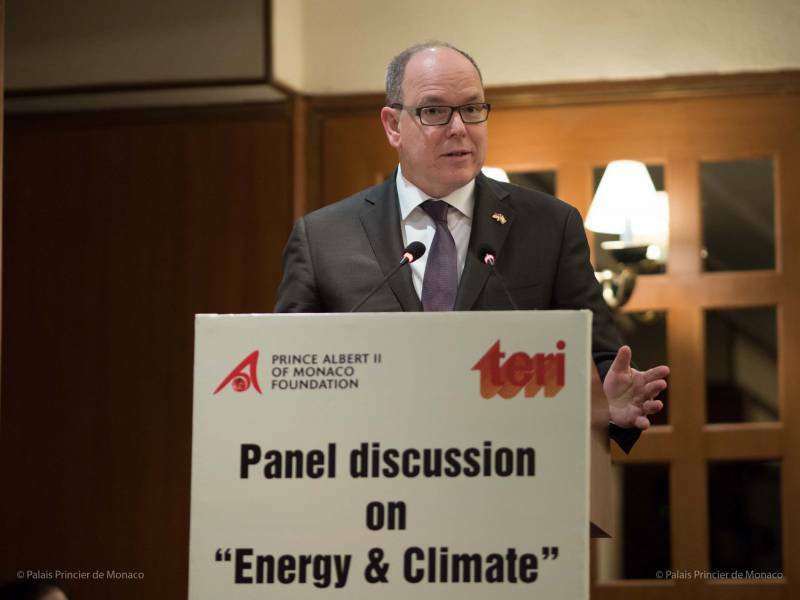 HSH the Prince and the leaders of His Foundation then participated in a conference on Energy and Climate, organized by The Energy and Resources Institute of New Delhi. In the evening, a dinner in honour of His Serene Highness was offered by Raja Randhir Singh, Honorary Member of the International Olympic Committee. 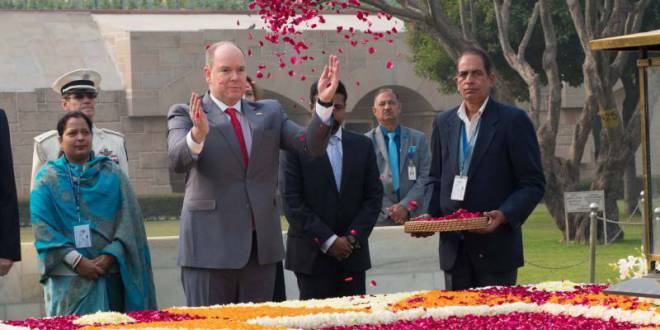 On Tuesday 5 February, the second day of Prince Albert’s official visit to India, the Prince visited the Raj Ghat, a memorial dedicated to Mahatma Gandhi, father of the Indian independence movement. A large platform made of black marble marks the place of his cremation, 31 January 1948, the day after his assassination. Prince Albert, accompanied by his delegation, laid a wreath in tribute to his memory. 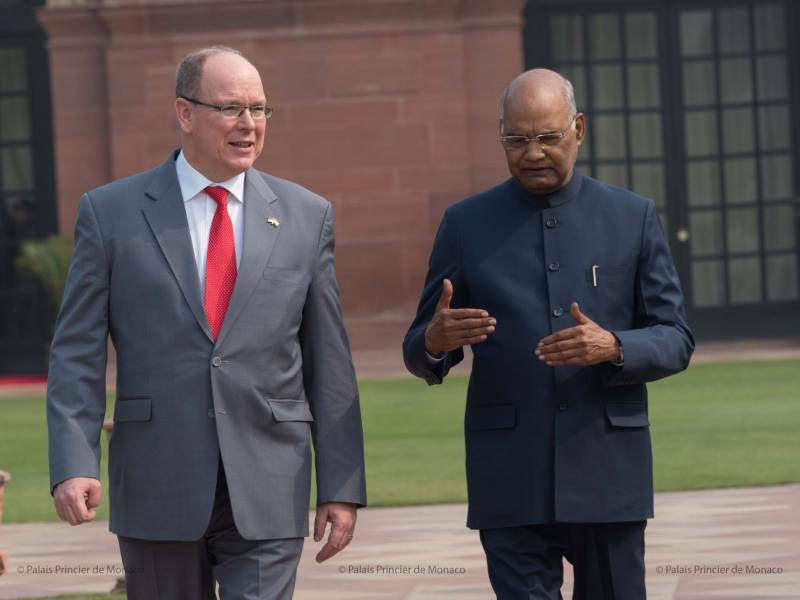 Prince Albert then went on a series of meetings with the highest authorities of India. He first met with Sushma Swaraj, Minister of External Affairs, before being received by Prime Minister Narendra Modi. 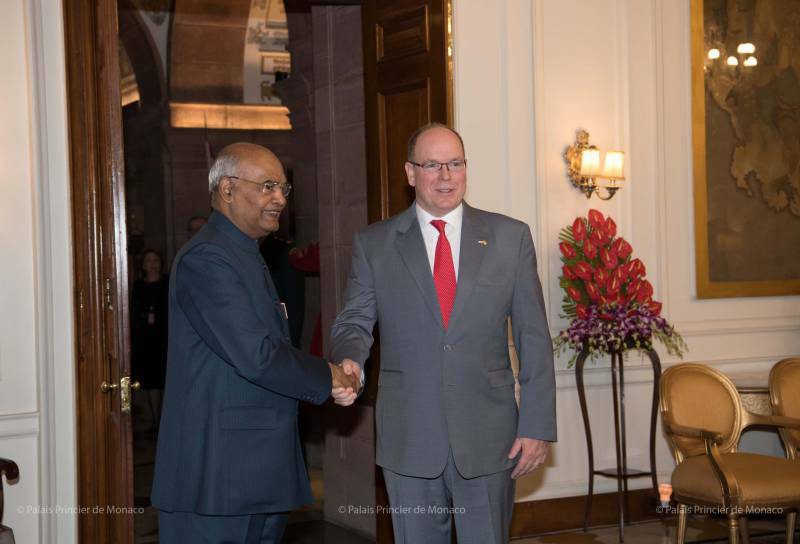 The Sovereign then went to the Presidential Palace, the Rashtrapati Bhavan, residence of Ram Nath Kovind, President of India since 2017. The enormous Palace, located on a 130 hectare piece of land, was built at the beginning of the 20th century by the British who wanted to place the capital of India in the center of the country rather than in Calcutta. Ram Nath Kovind is the second President from India’s ‘Dalits’ caste, formerly called the untouchables, a socially and economically marginalized community. 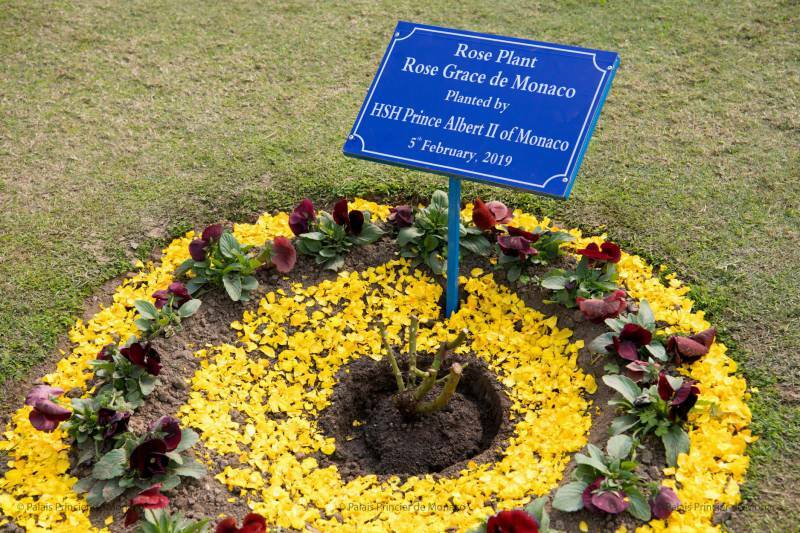 After meeting with President Kovind, the Sovereign Prince planted a Princess Grace rose bush in the beautiful garden of the residence. 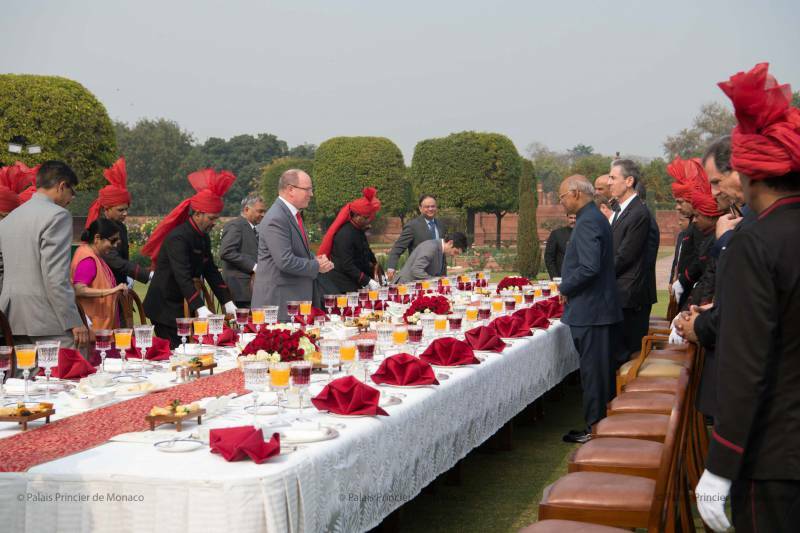 A luncheon was offered by the Indian President to the delegations of the two countries. HSH the Prince then went to Gandhi Smrirti, a museum dedicated to Mahatma Gandhi, where he spent the last 144 days of his life before being murdered at the age of 78. 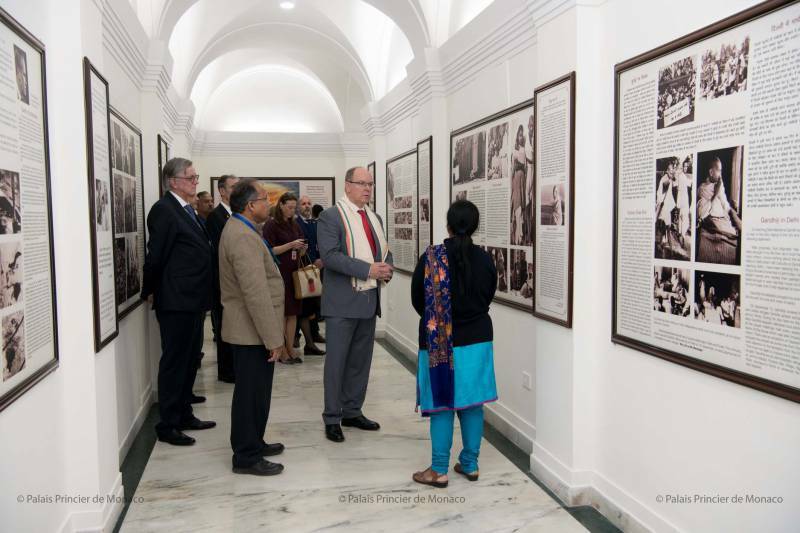 The day ended with a cocktail event offered by Prince Albert to the Monegasque and Indian delegations and organized by HE Patrick Médecin, Ambassador of Monaco to India.